Iron Hill Brewery & Restaurant has come home to Wilmington, Delaware to the ever growing entertainment spot on the Christina Riverfront. The restaurant, located north of the Shipyard Shops at the former Sardo Warehouse site, marks a fourth location for the Wilmington-based brewery and restaurant. The two-level, 9,000 square foot building features an 80-seat dining room with views of the water, 60 additional seats in an intimate bar area, and a 100-seat porch for outdoor dining in season. The second level features a more casual bar with a banquet room. An additional 100-seat partially enclosed patio serves as a venue for live music with a full bar and sweeping views of the Riverfront. Executive Chef Greg Bond and his talented kitchen staff have created an inventive menu of New American cuisine. The extensive offerings cover a variety of cuisines from ethnic to hearty comfort foods and includes soups, sandwiches, wood-oven pizzas, salads and entrees. Beer enthusiasts can watch the brewing process through large glass windows that enclose the on-site brewery. 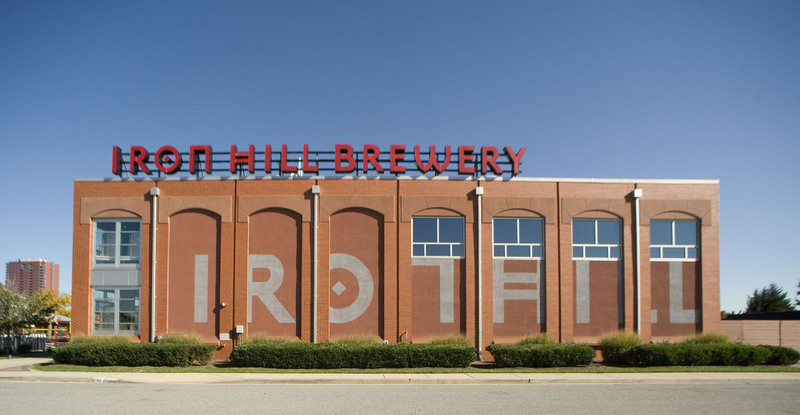 In addition, Iron Hill offers a host of rotating seasonal beers.